A correspondent for the Reading, Pennsylvania, Eagle submitted the following tale of the great horse roundup on Saddle Mountain and Lower Crab Creek in 1906. I have transcribed the article directly from a photographic copy of the issue of July 26, 1906, page 4. I have not edited spelling or place names from the original document, so you’ll find a few interesting variations on today’s geography. 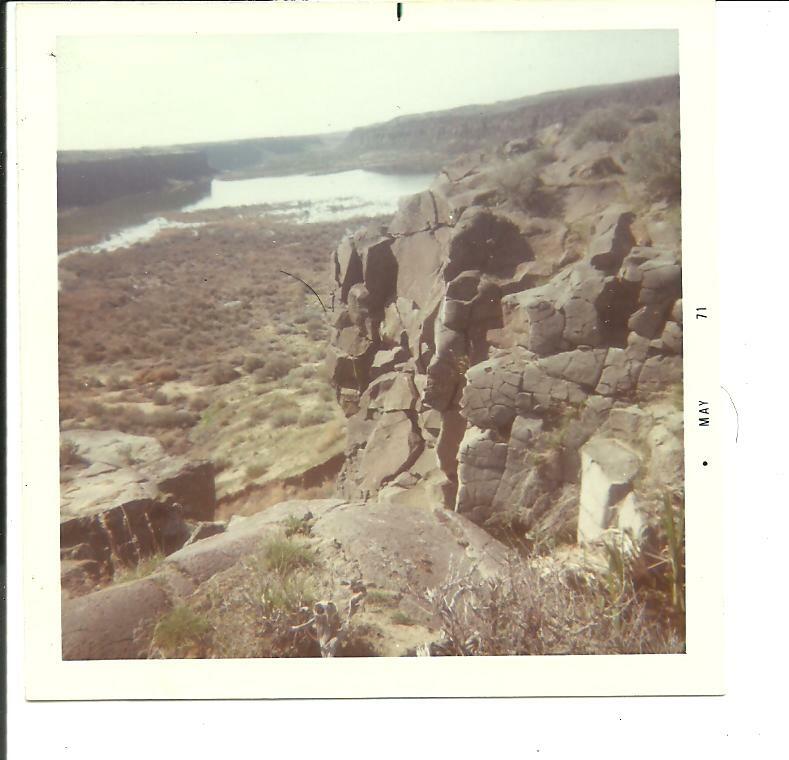 A 1971 view of Red Rock Canyon, near Lower Crab Creek. This canyon, which was dry before irrigation arrived, served as a natural corral in pioneer roundups. Today it is flooded and provides sportsmen with fishing opportunities. Rounding Up Wild Range Horses In the State of Washington. Regarding the last big round-up of horses in Washington State, a correspondent writes that Eastern Washington has for long years been known as the home of the will range horse, and many are the markets of the Central and Eastern States to which these horses have been shipped. Now, with the encroachment of the farmer to till the soil, the day of range riding and horse raising on the open range is about to vanish. The southern half of Douglass county has heretofore offered an inviting range for horses, and there are thousands still running at large there on the sandy stretches of bunch grass and the deep green sloughs of the canons.